The Filipino Association — in collaboration with Club 2000, Couples for Christ Bermuda, Filipino Christian Fellowship and the Filipino Sports Group — has raised funds from their recent Filipino Cultural Festival on June 14th and donated part of the proceeds to the Eliza Dolittle Society. 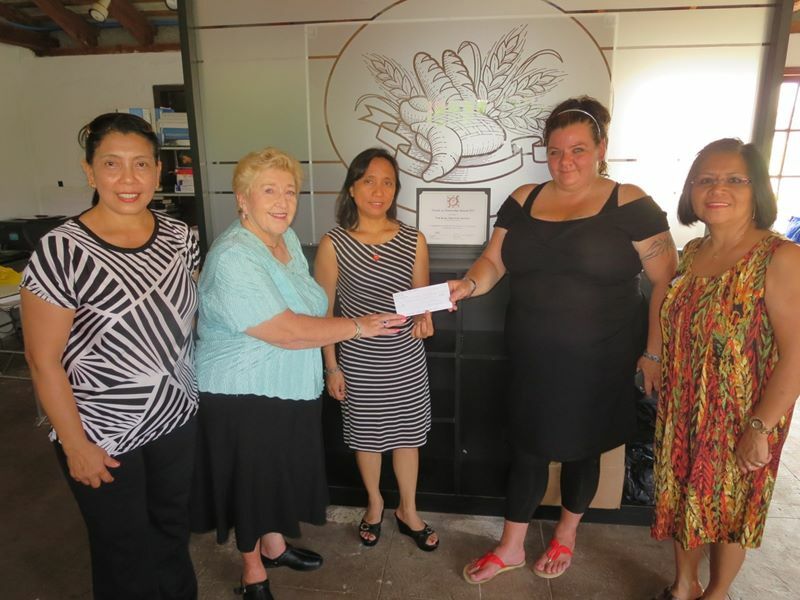 From left: Marrah Butler, Carolyn Paynter, Board Director for Eliza Doolittle Society, Rowena Comber, President, Association of Filipinos in Bermuda, Jac Walker, Officer Manager [for Eliza Doolittle Society] and Ghenie Edwards, Adviser, Club 2000. 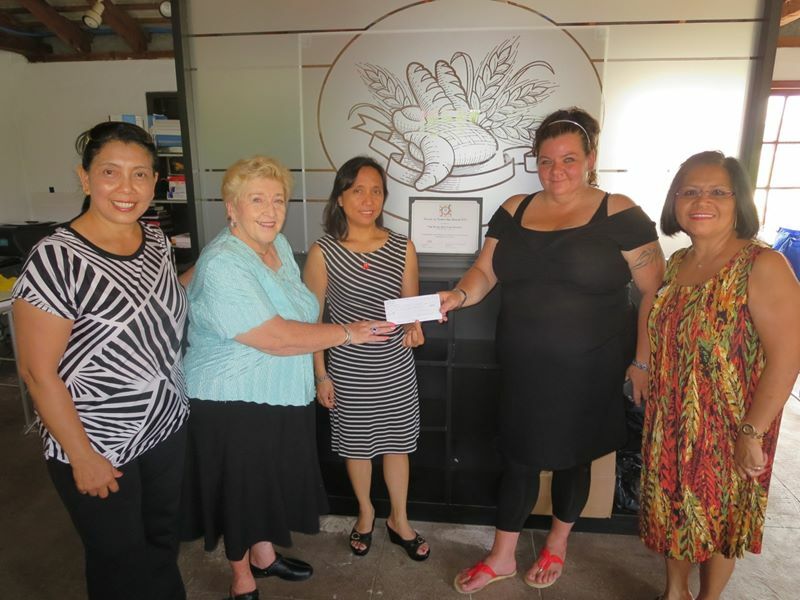 A check in the amount of $1,500 was handed in to Ms. Jac Walker and Ms. Carolyn Paynter of the Eliza Dolittle Society to assist in the Society’s drive to feed the hungry in Bermuda. During the visit, leaders of the Filipino community promised to raise more funds and provide more support to the Society in its goal to eliminate hunger in Bermuda. It does not matter, Raymond, no matter what they say or do, we will continue on helping the needy and giving back to the community. Yes thank you to ALL that give back. Unfortunately to many of us want, want, want and take, take, take and never learn anything other than me, me, me, I , I , I . Giving is a true gift.